Since that time, change has occurred such that there is now a greater awareness and more widespread acceptance that being a female leader is a unique and colossal challenge. This change in atmosphere is why the London-based Global Institute for Women’s Leadership has been launched and it is why Gillard accepted the role as its inaugural chair. 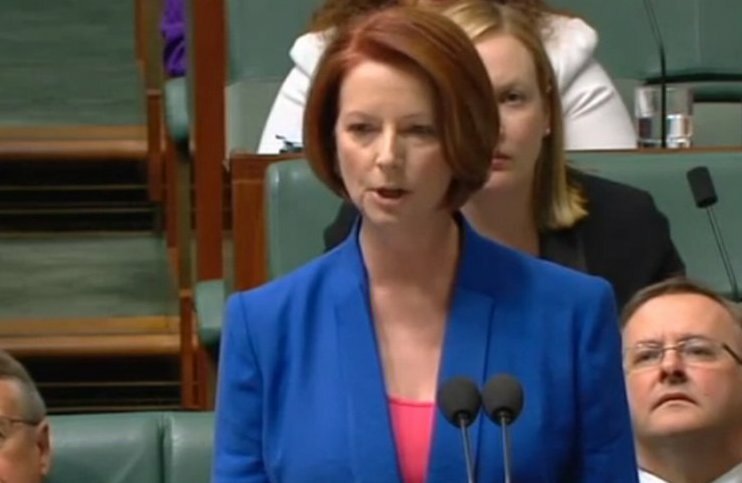 Back in 2010 when Gillard became Australia’s first female prime minister this was not the case. To the contrary, the hostility she faced when she even dared mention gender was white hot. It was an illegitimate “card” she played whenever the going got tough. It is true that in the eight years since Australia got its first female PM the public discourse has moved. Gender equality is no longer automatically dismissed as an entirely niche subject: it has inched its way towards the mainstream as a live issue. #MeToo and #TimesUp have accelerated this in recent months but conversation is not the same as action. Inequality persists – in pay, power and privilege. Women in Australia are still being discriminated against, harassed, underpaid and underrepresented in leadership positions.